New Zealand Local Pokies Gaming in Pubs, Clubs & Bars Overview Guide. On this page we have an overview of land pokies gaming in New Zealand, we detail the differences in the types of gambling and regulation for Kiwi players. 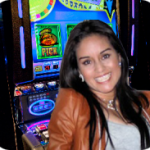 You can also visit our New Zealand local pokies map here. The New Zealand pokies system returns millions of dollars every month back into the local communities. Corporate societies own these pokie machine games. Venues like local pubs are financed by these said societies to host their EGM’s. Returns to these venues for EGM’s are monitored and limited. Pokie proceeds are paid to these corporate societies. Local organisation groups can apply to these societies for monetary funding. These societies can then distribute funds to community organizations. Overview: New Zealand Pokies in Pubs, Bars & Clubs. Hundreds of millions of bucks are given back each year to the benefit of local communities, these profits of gambling on EGM’s in pubs and hotels contribute enormously to the people of New Zealand in many ways. The gaming sector must always operate honestly, fairly and openly. Pokies machines are also called EGM’s, poker machines, pokies, slots and one-armed bandits and New Zealand has about 20000 machines in total. Pokies machines located in pubs, hotels and clubs are known as Class 4 gambling units. Class 4 gambling does not include pokies located in casinos like SKYCITY and the likes of and they operate different as true profit operations as opposed to pubs and club’s regulations. 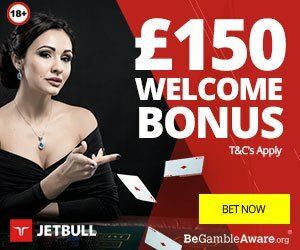 This type of Class 4 gambling is a not-for-profit type operation, the main objective is to of generate income to return to communities through a contestable grant system that is operating. A percentage of the money punters lose on EGM’s in pubs and bars is given back to community groups by the corporate societies by way of grants for selected worthwhile and charitable uses. Local Kiwi pubs and bars that have EGM’s are known as “venues”. The businesses managing the venues are referred to as the venue operators, and the individual tasked for the EGM operation is known as the venue manager. A track record as an ethical and honest operator. Responsible service and harm minimalization to players. These EGM Venues must keep profits totally separate from all other funds derived from the business. EGM’s are electronically checked to know how much cash has been placed into each machine. Once winnings have been paid out to the player, the balace is sent to the society’s bank for allocation to the awarded community groups. Gaming venues can receive a return of up to 1.28 per cent of their weekly total turnover, this is capped at 16 per cent of net annual pokie profits. The commission rate is set at a level that is intended to allow pubs and bars to cover their costs in the operation of the machines, it’s not a system that allows them to make a substantial profit from operating pokies gaming facilities. Unlike the big “casinos” It is a regulation that regular venues cannot be based on gaming revenue as a main source of their income. Q1: Is there a maximum number of pokies that a pub can have? Pubs, bars and clubs can have up to 18, this depends on when a venue’s licence was issued. Before October 2001 the most that they can have is 18. If it was issued after October 2001 then the most that they can have is nine. Some bars can also have as little as 2 games available to play. Q2: How many pokies machines are there in New Zealand? 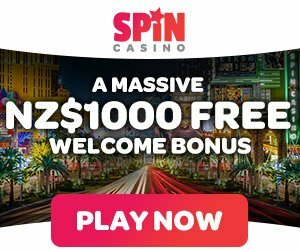 The major land casinos account for a big percentage of the pokies numbers, the SKYCITY Auckland, Hamilton, Queenstown venues and the Dunedin and Christchurch Casinos have about 3500 games. The pubs, clubs and bars account for around 16000 pokies machines through-out New Zealand. So in total you have about 20000 pokies in New Zealand. Q3: What other forms of gambling are available in New Zealand? 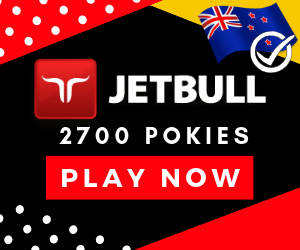 New Zealand is very open for gamblers, other than the pokies people can enjoy games like the Lotto, scratchies, horse and dog betting both local and international via the New Zealand TAB and sports betting of the main options. Q4: Do NZ pubs that have pokies make a profit from them? The system is designed for venues to cover their costs in operating EGM’s and not make a major profit. Q5: What advantage does a pub get from having pokie machines? Overall it may assist venues in getting people in that play the pokies and may also have a drink, a bet at the TAB or dine while visiting. On the flipside, some people do not like pokies so venues that have EGM’s may in fact turn off some visitors. Q6: What organisations can apply for grants from pokies profits? Net proceeds of the EGM operations can be granted to the likes of charitable community purposes that provide measurable benefits. Q7: Where can i search for a specific local pokies gaming venues in an New Zealand City or area near me? You can search via an interactive map here for a local pokies gaming venue.